If you had a condition you weren’t aware of but had implications not only for your own health but that of your kids, you’d want to know about it, right? Dilated cardiomyopathy was identified as a cause of singer George Michael’s sudden death at 53. It’s a disease of the heart muscle which affects blood circulation around the body. In some cases, dilated cardiomyopathy is an inherited condition and therefore present in the birth mother’s DNA. Depending on the condition or conditions being checked for in DNA or genome testing, the pin prick blood or saliva samples are examined and tested in one of the Body and Mind Clinic’s highly sterile genetics labs in the US. They look for a specific gene, mutations of that gene, or any mutations on a particular gene. Sometimes it’s necessary to check a certain gene or genes for mutations – this is called gene sequencing – and is carried out extremely carefully. It can also be a far lengthier process compared with more run-of-the-mill hospital lab tests. Depending on the specific mutation being tested for, it can take a while for the results of the tests to become available. Is all a matter of gathering the right information in order for the experts to interpret what’s been discovered. But let’s be clear on this. It isn’t always possible to give definite answers after genetic testing. What it does do is provide an overview y he results of what health conditions they may have. There are occasions when its best to wait to see if the person being tested – or their offspring – develops a condition or not. This may then lead to other tests being performed. 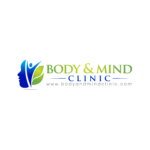 There’s much more you can read about the benefits of DNA testing elsewhere on the Body and Mind Clinic website.